To quote the highly esteemed UFC philosopher Bruce Buffer: "IT'S TIIIIIIIIIME!" To vote, that is. The polling precincts are open; candidates are anxious; citizens are finally able to put their money where their mouths have been over the past few months; and to many, it's a welcome end to what has been an arduous path that has splintered friendships the nation over. 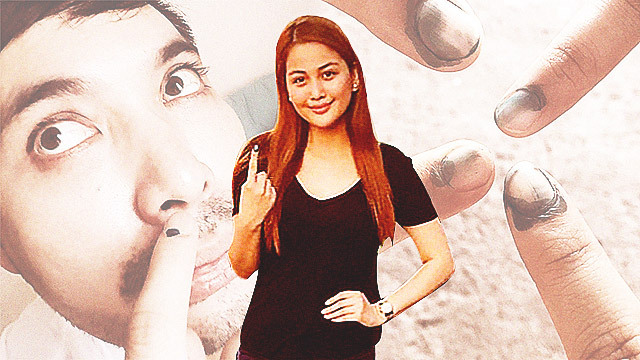 Actress Dianne Medina was the first to vote at her precinct at the Tandang Sora Elementary School—and she wants to make sure that you know it. That, where I'm pointing, is a tree. Haha (The mandatory 'hintuturo' selfie) ???? So glad that my experience as a first time voter was smooth sailing. Took me more or less than 5 minutes the whole process. #Election2016 ???????????????????????? Pia's Queenly Reunion, Kobe's Comeback, And 13 Other Things A Man Must Know This Week!